Resisting arrest charges can be difficult to overcome because essentially, it’s your word against the word of the police officer who arrested you. While most officers now have dash and body cameras to record their behavior and the behavior of citizens they interact with, sometimes what is necessary to exonerate a person doesn’t end up being captured on camera or evidence is otherwise tampered with. If you were charged with resisting arrest in California, here’s what you should understand when defending yourself under the law. There are many actions that do constitute resisting arrest and many that don’t. 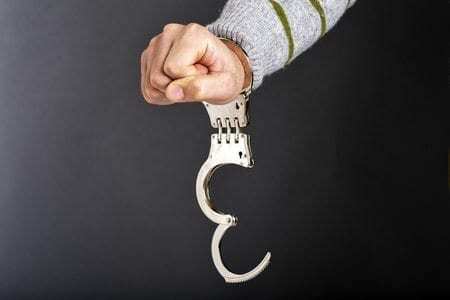 Essentially, resisting arrest is any action that involves the willful and knowledgeable attempt to prevent a police officer from handcuffing you and escorting you to jail. This means if you fight the officer or twist your arms away from him or her during the arrest, run away, hide, or refuse to truthfully identify yourself, you could be charged with resisting arrest. Actions that do not constitute resisting arrest are some that officers still like to claim are, in fact, resisting. For example, swearing while under arrest does not mean that you are resisting unless you are also threatening the officer, fighting them, or willfully trying to prevent the arrest in some other way. However, many officers will still tell someone who is swearing during an arrest that they’ll also be booked on a resisting arrest charge. There are a few solid defenses for resisting arrest charges, and which one your attorney believes will be most successful will depend on the unique facts of your case. For example, your attorney may allege that you never met the criteria for resisting arrest, the police officer didn’t identify him or herself as law enforcement, the arrest itself was unlawful to begin with (such as during an illegal search), or that the officer was unusually forceful during the arrest and you were attempting to protect yourself from bodily harm. If you’ve been charged with resisting arrest, don’t wait to contact a criminal defense attorney to help you protect your rights. 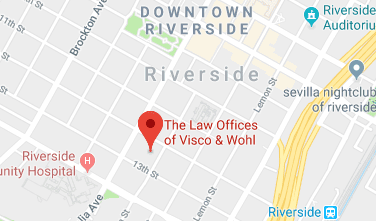 At Riverside Criminal Defense, we’re committed to aggressively and zealously defending you and we have the knowledge and skills to provide you with comprehensive legal representation during this difficult time. Contact us today to schedule a consultation to discuss the details of your defense strategy by calling 951-384-7375.